Boyz N Da Hood is an American Southern gangsta rap group from Atlanta, Georgia. 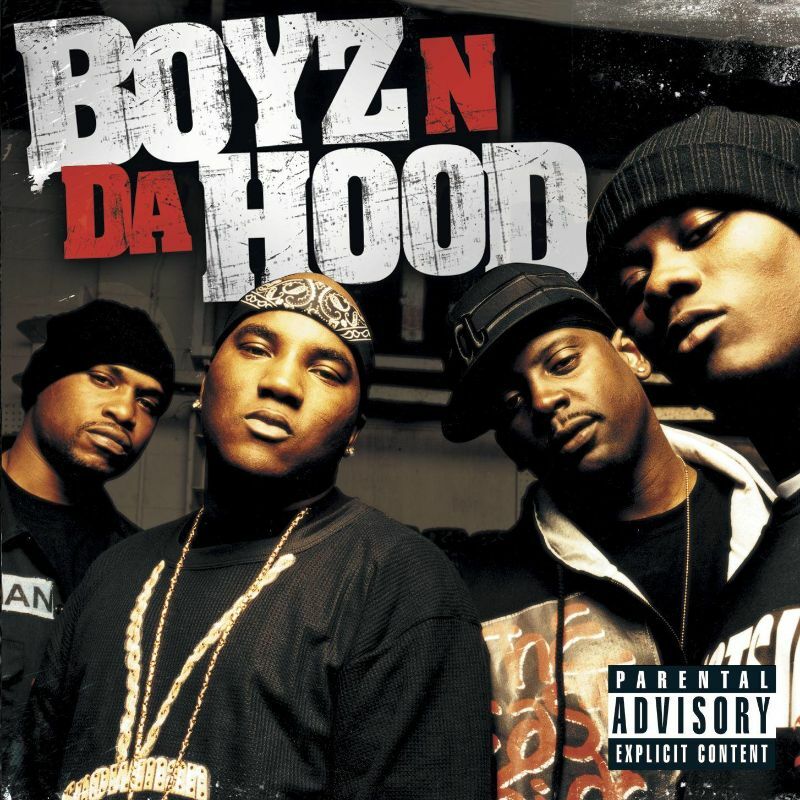 Boyz n da Hood is the debut album by hip hop group released on June 21, 2005. The font used for album title on the cover is Aachen Bold. Aachen is a heavy-stroked slab serif font designed by Alan Meeks under the supervision of Colin Brignall and released by Letraset in 1969. It was designed to be employed in large sizes on display and headline work. Despite drawing inspiration from the 1960s, the typeface stil feels remarkably contemporary. In addition to Boyz n da Hood, Aachen typeface is also used in the following logos, movie posters or album covers etc., including: Grindhouse (film), Buffalo Wild Wings, Deadliest Catch, The Departed, Machete Kills, Down and Dirty, Nature Calls, Thug Holiday, Pulp Fiction, Football Manager 2016, Masha and the Bear, The Game Plan, Machete, Black Dynamite, FDB.